Water has a peculiar property. When temperature is rises between 0 to 4°C water is not going to expand but it is going to contract. This special property is called anomalous expansion of water. It is because of the molecular configuration of the water. When the temperature is decreased from 4°C to 0 degrees centigrade water does not contracts but expands. Therefore at 4°C volume of the water is minimum and the corresponding density is maximum. This density is generally taken like a reference density of the water. It is obvious that at 4°C density of the water is going to be maximum as the volume is minimum. This property has a great importance in explaining the aquatic life existence during the winter season in the cold countries. During the winter season due to the cold breezes the upper layers of the river will get a lower temperature first. As a result the water becomes denser and it reaches to the lower levels. Because of the anomalous expansion property of the water, at the lowest part there will be temperature of 4°C. On the top of it and there will be water at 3°C and so on. Hence though the uppermost layer of the water is at 0°C, at the lower portions there will be higher temperatures and water can exist without freezing. This helps for the survival of the aquatic life under the water. 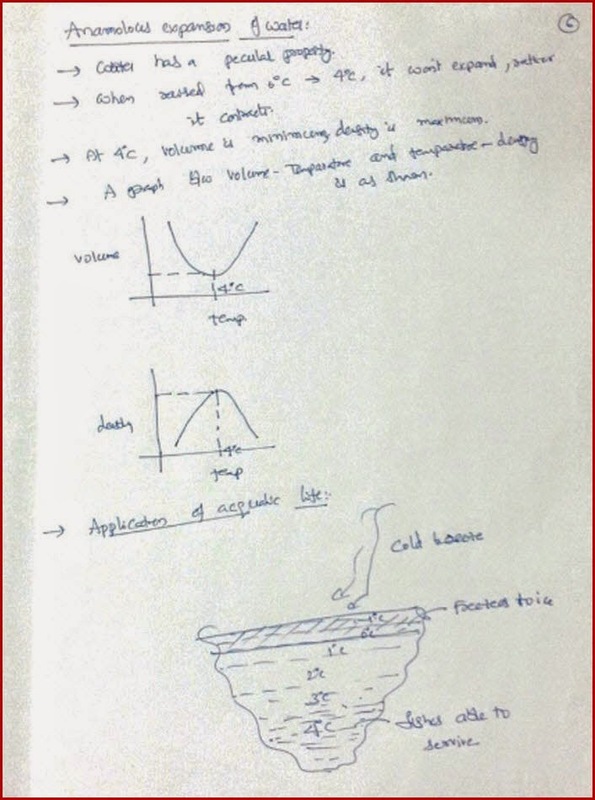 Whenever the temperature of a liquid is increased, its volume increases and hence density decreases. Anyway mass of the liquid is going to be independent of temperature and it is always going to remain constant. 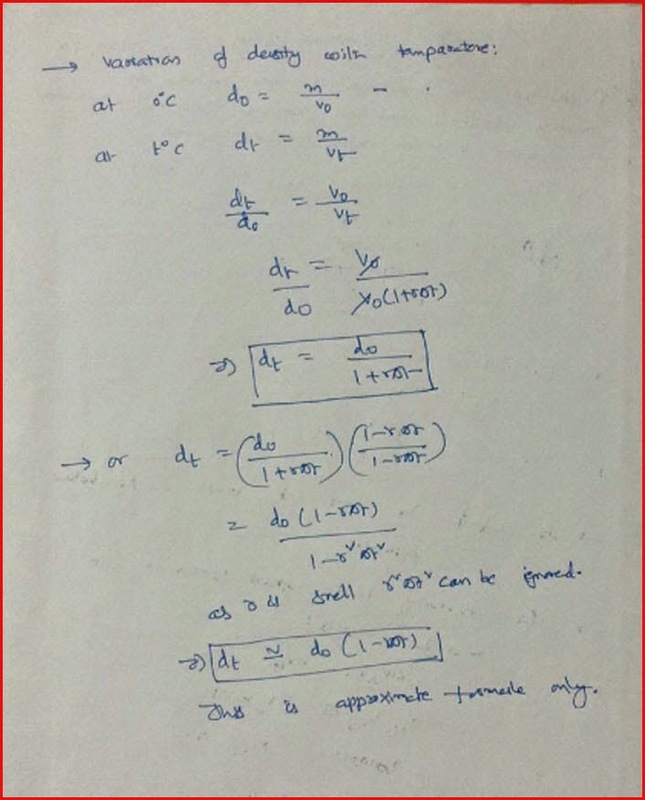 Basing on this concept we can derive the relation between a densities are different temperatures as shown below.